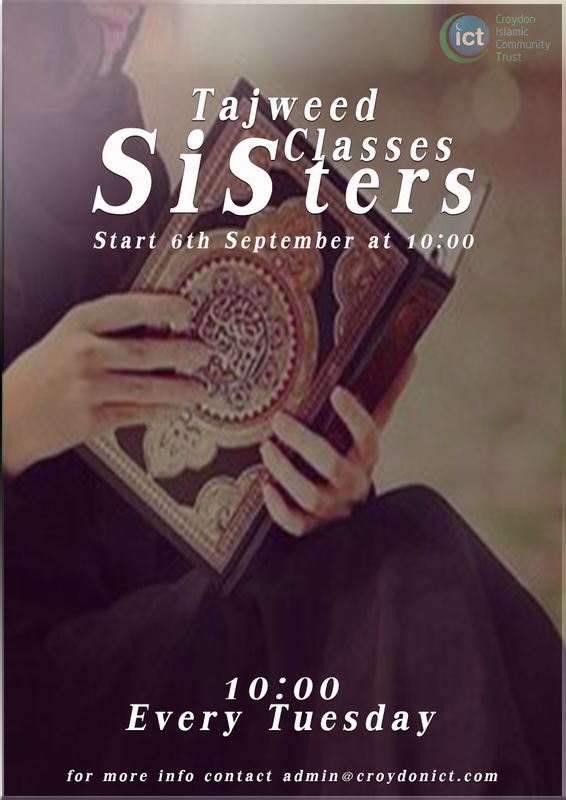 The sisters tajweed classes will now be resuming on the 10th January 2017 at 10:00 inshaAllah. It is open to sisters of all levels, from those who are learning to read Qur’an to those who are proficient in reading Arabic. In the second hour, the class will be split into two groups. Beginners will go through Qa’ida where they will be learning how to read with tajweed, whereas the other group will be reading from the Mushaf so that they can be tested or corrected. 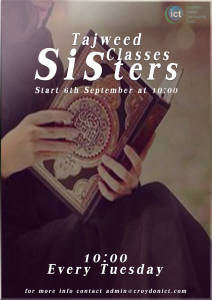 In the last hour the class will come together and have a tafseer session, inshaAllah.